Fashioned in full-grain cowhide leather and suede-like brushed twill, lined in a cream saddle stitch. 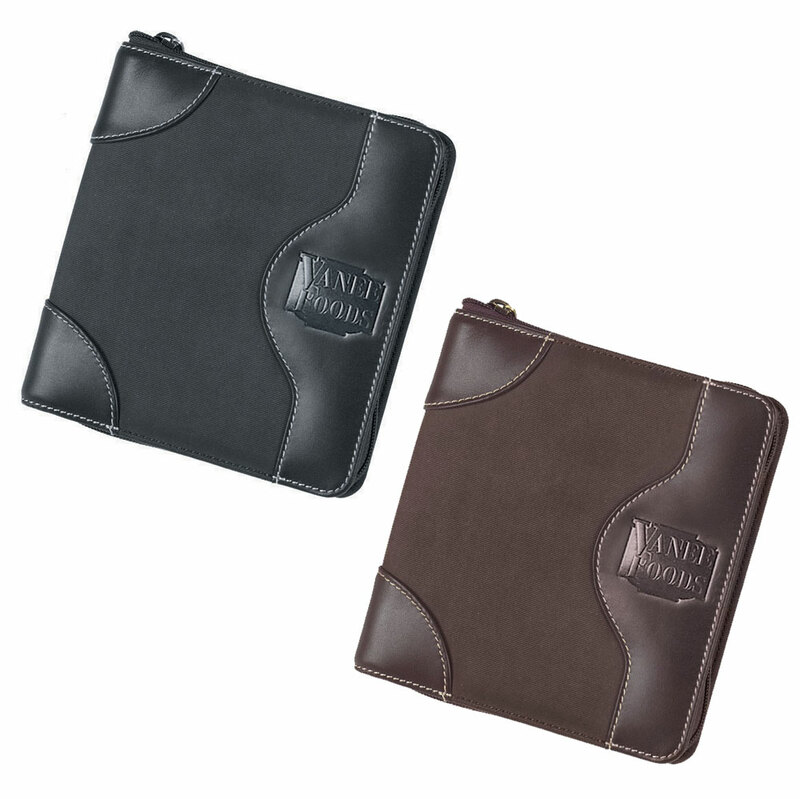 This posh piece contains 12 sleeves to accommodate 24 CDs and zips around to hold contents securely in style. Product Size: 6 1/2" x 6 3/4" x 2"
Pack Info. : 24 pcs / 22.00 lbs. Pack Note: (Dimension Weight) / 20 lbs. (Actual Weight) / 18" x 14" x14"